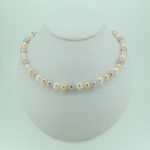 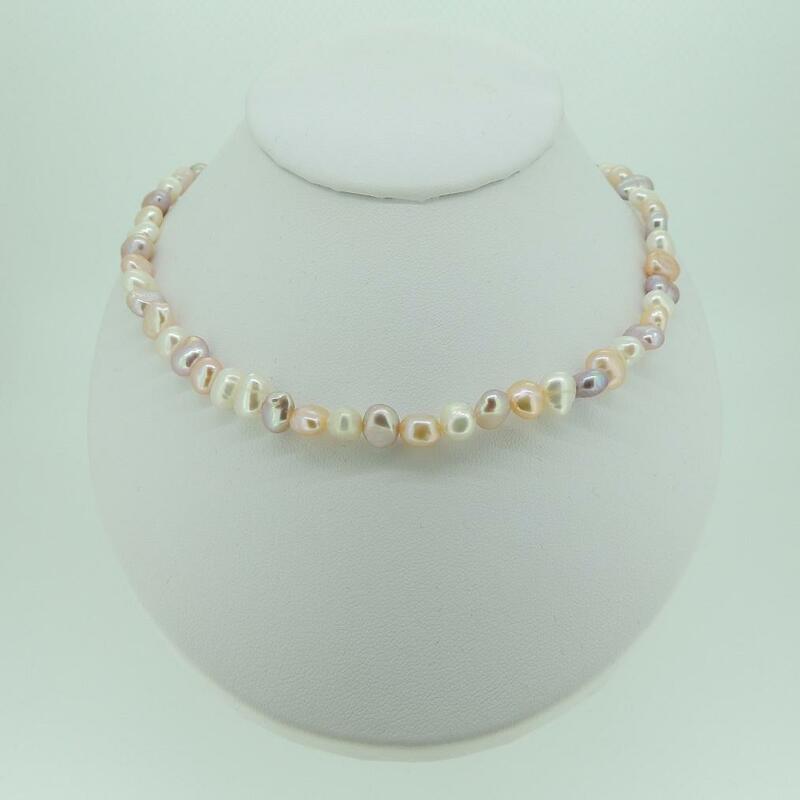 Cultured freshwater 6-6,5mm multicolour baroque pearl set. 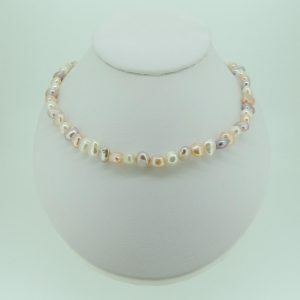 Necklace and bracelet are strung on silk with knots between pearls. 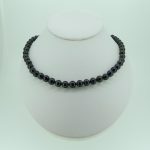 Necklace is available in different lengths and with silver or gold clasps. 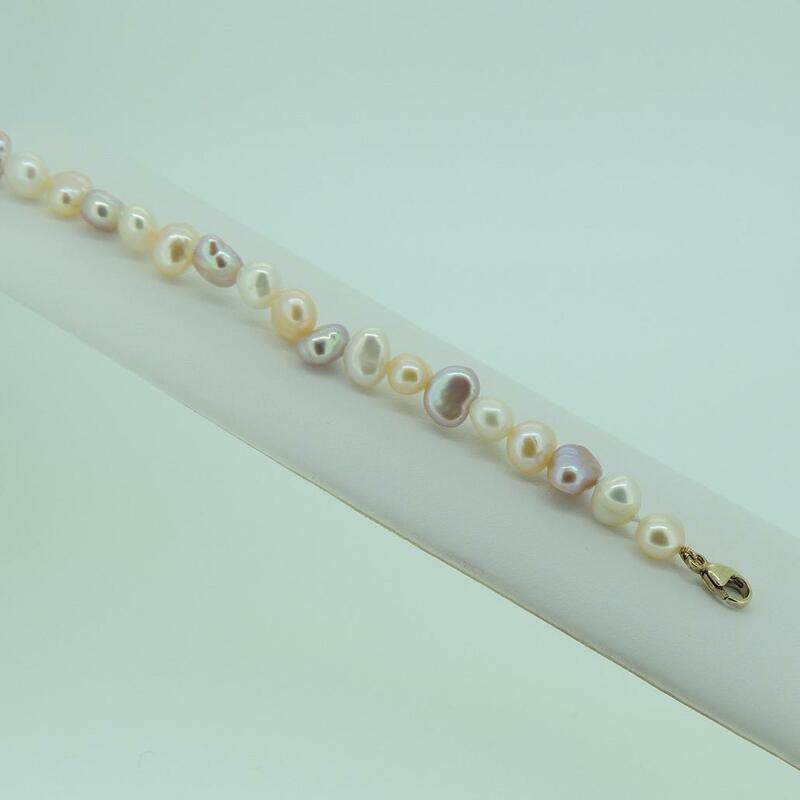 Bracelet is 7,5inches long (19cm).